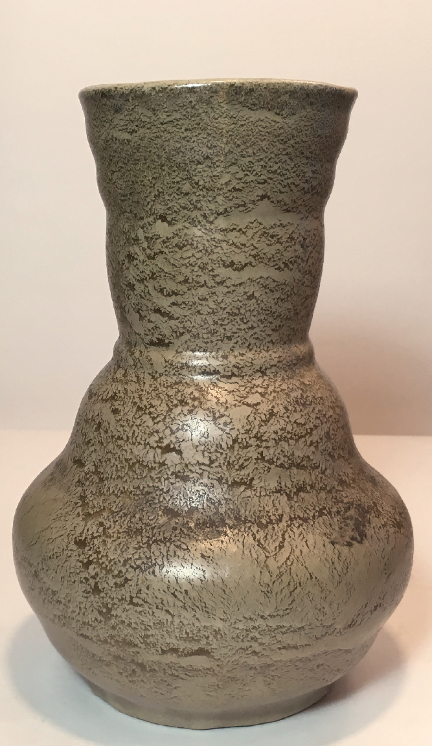 This vase was made by Kupittaa in Finland, and while the shape was used as early as the mid 1920s, based on clay color and marking style, this example is more likely from the 1930s.. 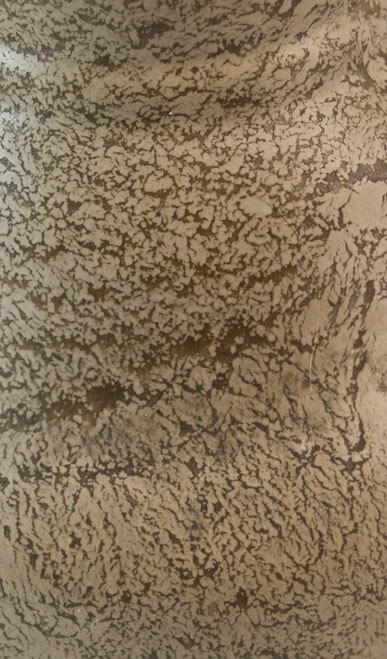 It's like a brown version of the Geranium glaze from Royal Haeger or similar glazes from Red Wing around the same time. 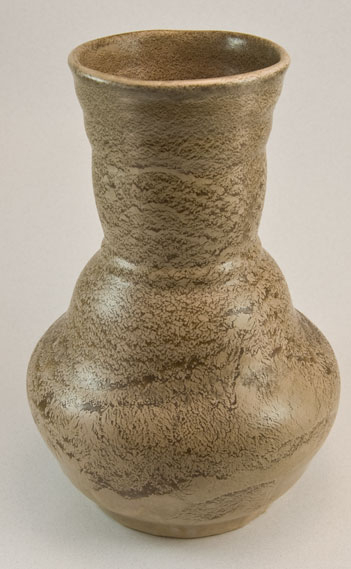 The ripply, rumpled body is fun and unusual, but it's the glaze that's most impressive. 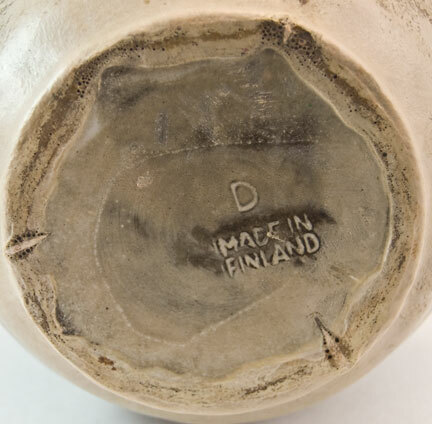 All in all, it's a great piece of Scandinavian mid century modern pottery.